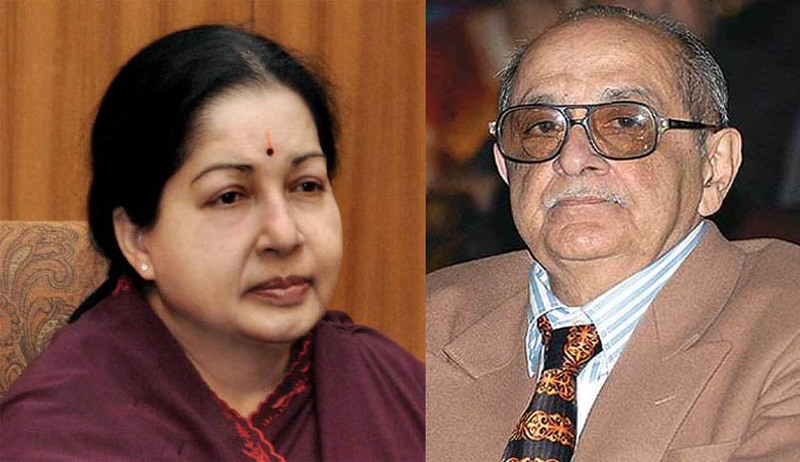 Senior lawyer, Fali Nariman may represent Jayalalithaa in Supreme Court this Friday, to seek suspension of the sentence imposed on her and to present her bail plea. Former MP and TN public prosecutor, Shunmugasundaram who has been DMK’s lawyer, however, says that if Fali Nariman does eventually appear Jayalalithaa, it will be unethical. His reasoning for the same is that Nariman has many times in the past, argued on behalf of the prosecution, DMK and the Department of Vigilance and Anti-Corruption (DVAC) which had filed the cases against Jayalalithaa. "They may say this case is an appeal, it is different. But the fact remains that as prosecutor, I have briefed Mr Nariman several times. Not once or twice, but for various elements in the case. How can he represent Jayalalithaa now?" asks Shunmughasundaram. Shunmugasundaram recounts that Nariman first appeared as the DVAC s lawyer in the Madras High Court in 1998. In 1998, Jayalalithaa had challenged the DMK government’s decision to constitute three additional courts with special judges under Section 3 of the Prevention of Corruption Act. These courts to be set up in Chennai were supposed to try 39 corruption cases against Jayalalithaa and ministers, including the DA case. “At that time, Fali Nariman had appeared on behalf of the DVAC before a bench constituting Justice Liberhan and Justice Raju," he says. Citing another instance, he said, "In 2001, when Jayalalithaa became Chief Minister again, DMK General Secretary Prof K Anbazhagan prayed for a direction from the Supreme Court to divest the investigation, the prosecution in the trial, and appeal of the corruption cases including the above stated Disproportionate Assets against Jayalalithaa from the state police departments to the CBI. Nariman represented the DMK, but that writ petition WP (Criminal) 120/2001 was withdrawn later when she was asked to step down by the Supreme Court in another case." Dismissing the appeals filed under S. 398 (1) of Cr.P.C by Jayalalithaa before the Karnataka High Court, Justice A.V.Chandrashekara on October 7th, had ordered that the question of granting bail to the accused doesn’t arise. Jayalalithaa had approached the High Court after being convicted by a Special Court in a DA case. Along with the former Chief Minister, the bail pleas of her aides Sasikala, V. Sudhakaran and J. Elavarasi were also dismissed. The High Court also dismissed their plea for suspending the sentence imposed on them until their appeal against conviction is decided by the High Court. Read the Live Law story here. Also read: Jayalalithaa Case – Same day Conviction and Sentence- Bangalore Court or Times of India? Who went wrong? !